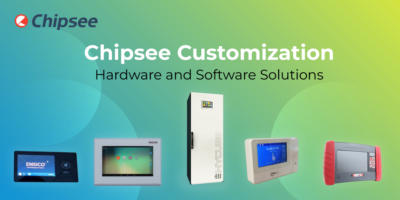 Chipsee designs and manufactures high-quality Industrial PCs, Monitors, System-on-Modules, and produces Customized Solutions for customers around the world. 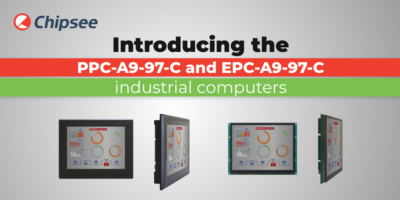 We offer innovative and reliable industrial computer solutions – our products are used in industry 4.0 projects, machining and automotive engineering, manufacturing facilities and more. Our Branding and Labeling service allows complete personalization of your product. We can add your logo to the product, create custom packaging, or a customized manual. Whatever you need – the Chipsee team will provide. Do you need a customized Bootloader logo on your industrial panel PC? A preinstalled OS and application? Send us your design – we’ll handle the rest. Separate your solution from the competition and get a custom case color. With custom packaging and documentation, your products will be ready for customers in no time. Choose your desired logo, colors, graphics solutions, and we’ll make it perfect for you. We design and deliver specialized hardware and software solutions for industrial electronics. Contact us today. 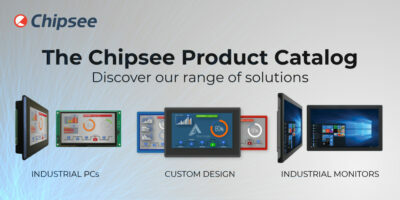 At Chipsee we strive for one thing – to give our customers reliable, durable, and innovative industrial solutions. To offer complete products created from a single source – perfected and realized through the combination of our expertize, experience, and dedication.